Chinese media reported that Song Joong-ki was seen at a golf club after he returned from his trip to America with Song Hye-kyo. Pictures of him spread quickly online and although the picture was taken from far away, he still looks very handsome. Apparently, he took pictures and gave out autographs to fans at the golf club. Meanwhile, Song Joong-ki and Song Hye-kyo are getting married on the 31st of October at the Shilla Hotel. 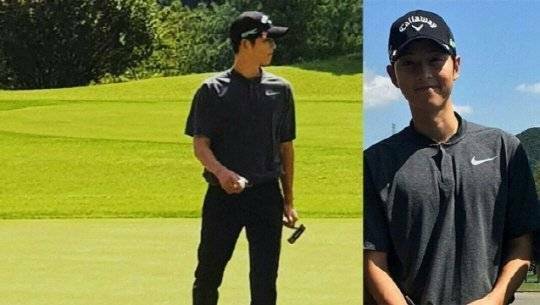 "Song Joong-ki spotted at a golf club"